Administrators at Woolworths say that all 807 stores will close by 5 January. 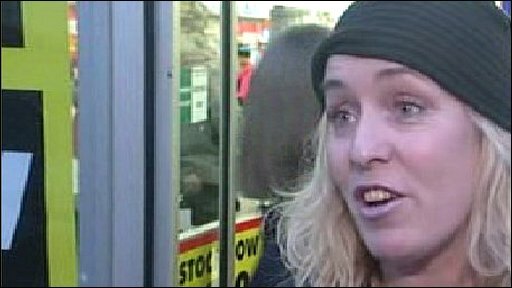 The first shops will shut on 27 December and all 27,000 permanent and temporary staff will lose their jobs if no last-minute buyer is found. The administrators said there was still interest in parts of the business but admitted they had "not come close" to finding a buyer for the firm. A range of food, clothes and "value retailers" have made offers to take over the leases at about 300 stores. And efforts would be made to put Woolworths staff who were losing their jobs in contact with these potential employers, the administrators Deloitte said. Deloitte's Neville Kahn said it was unclear how much of its debts would be paid, but added it was "clear that the creditors and suppliers will not get paid in full". 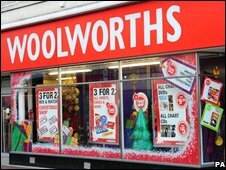 Last week bargain hunters began flocking to branches of Woolworths on the first day of a store closure sale at all its outlets across the country. Among the stock still on sale were 200,000 copies of X-Factor winner Alexandra Burke's version of Hallelujah, the administrators said. Mr Kahn added that an extra 50 million items would be delivered to Woolworths stores and bigger discounts - some of more than 60% - would be offered to shift stock. Shop windows will also display a countdown showing how many days were left before the store closed, he added. Staff - who will be entitled to compensation under the statutory redundancy payment scheme - will be retained for a few days following store closures. The chain was forced to call in administrators three weeks ago, amid mounting debts and losses. Last week its distribution arm, Entertainment UK, made 700 staff redundant after failing to find a buyer for the business. The company delivered up to 30% of music CDs in the UK, as well as film and TV DVDs.